behind the name -- Up until she was two years old, Greyson always went by the name 雪龙 (Xuě Lóng), which quite literally translates to “snow dragon”. Like all Chinese names, her surname comes first (Xue), which means “snow”. Her mother named her after the MV Xue Long, a Chinese research icebreaking ship that she helped to design, and worked on for decades. It is currently the only Chinese research ship in existence and actually was one of the main reasons that Grayson’s mother and father met. For years, Greyson’s mother actually hid her daughter’s existence from the rest of her family, who lived across the world in China. This was due to the ancient Chinese belief that boys are superior to girls because they can carry on the family name. Although this tradition mostly died down by the time that Greyson was born, her family remained stagnant in their customs, so her mother decided to name her a boy’s name in order to hide the truth from them. She wanted to prevent any questioning about her daughter and her whereabouts, as she knew that they would not believe that Greyson’s father was a Greek god. It’s probably best, for this reason, to not call Greyson by her actual name - or else she might try and turn you into an ice sculpture. She’s still bitter about the fact that she couldn’t go live with her extended family just because she was a girl. nicknames -- She’ll tolerate the names Gray, Snow, and Lark (because she’s always wanted to fly, and larks are her favorite type of bird). gender -- She’s female, even though sometimes she wishes that she wasn’t one. Roald Amundsen and Robert F. Scott, two explorers who ventured to the South Pole, Shortly afterwards, in 1990, she began work on a new ship that would revolutionize China’s future exploration towards the poles. Once the ship was finished, she took part in three Arctic expeditions before the ship got caught in ice in December of 1998 and had to dock in Tuktoyaktuk, Canada, a small coastal village for repairs, which took just over a year. While she was there, she met Boreas, who had come to spread the winter chill across northern Canada. The two fell in love and twelve months later, Greyson was born. Mary was forced to take time off from her research career in order to care for Greyson, as she refused to send her daughter back to China. They moved east Montreal, Quebec, where Boreas lived, and where Greyson lived the majority of her life. 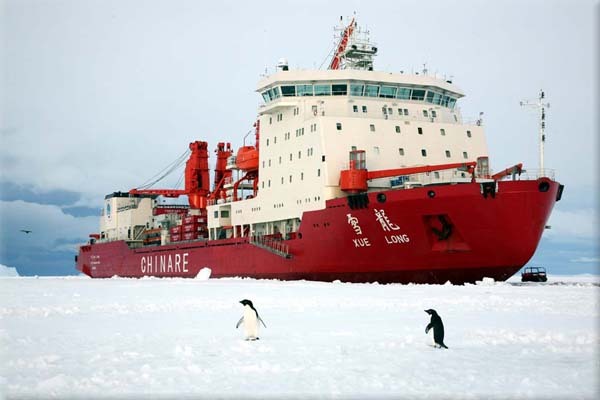 Nine years later, in 2007, the MV Xue Long was about to take another expedition, but this time to Antarctica, where China hoped to establish itself in the midst of European countries. Leaving Greyson at a boarding school, she departed for the trip, promising to return within a year. Although the MV Xue Long did break a record for the farthest southward that China had ever gone, Mary vanished under mysterious circumstances after the ship got stuck in ice yet again for three weeks and was proclaimed “missing at sea”. Before she left, however, her mother did leave her a considerable amount of money, which ensured the Greyson would still be able to attend boarding school and maintain a good quality of life, regardless of what happened. ❅Aerokinesis: complete control over air. Boreas can fly, manipulate air currents, and generate/control wind. ❅Cyrokinesis: divine authority over cold, ice and snow. Able to freeze things, control blizzards and snowstorms, project swirling jets of ice and snow from his hands, create powerful icy winds, and transform into anything related to snow and ice (for example, a snowstorm cloud or an icicle). date of birth -- Greyson was born on December 11th, 1999 and is fifteen years old as of late. place of birth -- She was born in Montreal, Quebec, at Brunswick Medical Centre at 3:17 in the morning, and was delivered by Dr. Diane Saxon. 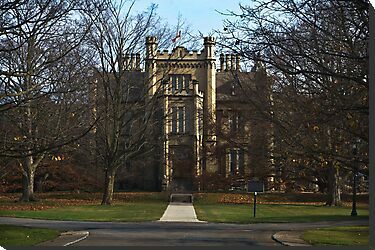 hometown/last residence -- As said before, Greyson lived in Montreal for most of her life before traveling to Camp Half Blood, attending a boarding school there (the Trafalgar School for Girls). It’s close to her father’s domain, but she’s never actually seen him. In fact, she didn’t know that she was a daughter of Boreas until arriving at the camp and getting claimed in the third week. race/ethnicity -- She is 100% Chinese, although she partially identifies with the Quebecois culture. As her father (a god) does not have DNA, he has no effect on her race. accent -- If you listen closely, you can detect a mild French accent, a tiny lilt in her words from her life in Quebec, surrounded by a French-speaking population. There are no hints of a Chinese (Mandarin) accent because she only spoke Chinese at home with her mother, and has spoken a minimal amount ever since Mary’s death. skin tone -- Greyson’s skin tone is very pale due to two reasons. First, she lived in Montreal, where weather isn’t exactly the sunniest. Second, Grayson hates hot weather and will avoid it at all costs, so she doesn’t go outside a lot. Plus she doesn’t tan very easily, although she’s never really tried to tan. eye color -- Her eyes are a light brown, which is probably one of the only parts of her that looks warm. In the past, she used to like to wear blue contacts to cover up the brown color, which she hated, but stopped in eighth grade after realizing how ridiculous she looked. hair color -- Her hair, like most other people of her ethnicity, is black, with some intermingled strands of dark brown. In most lighting, it takes on a charcoal hue. hair length -- Greyson’s hair is long, going three quarters of the way down to her waist. It is also slightly wavy, especially if she puts it in a braid or a bun, but she doesn’t straighten it because her hair can’t stand the high heat of a straightener (or curler, for that matter). height -- Standing at 5 feet, 6 inches, Greyson is taller than average for her age group and gender. However, due to her body type, she usually looks taller than she actually is. weight -- At 110 pounds, she is 10 pounds underweight for girls of her height, because she is a very picky eater and not a lot of food is able to meet her standards. body type -- Greyson is very slender, dainty, and delicate-looking, but she packs a punch. Most of her body is muscle from her years as a ballet dancer and she is very flexible; doing full splits doesn’t bother her at all. Her waist is thinner than the rest of her body, giving people the illusion that she has an hourglass figure, even though she’s not nearly curvy enough. Her mother used to call her “a stick” and urged her to eat more, but to no avail. ❅Face: her eyes are wide and almond-shaped, but her eyelashes are pretty short, so usually she wears mascara or fake lashes to cover it up. The shape of her face resembles a heart and her eyebrows are long and straight, although the one on the right is slightly shorter than the one on the left. Her nose is relatively flat and thin, and her bottom lip is a little too full for the top one. Her cheekbones are not visible, but she does have dimples. Overall, her face gives off a sense of innocence and naivety. ❅Body: As described above, she is thin and her chest is relatively flat. Her legs are long and meet together at the thighs. ❅Feet: Her feet are moderately sized (US shoe size 7) but are very flexible, pointing and flexing well, even for a ballet dancer. They usually go without nail polish. ❅Hands: Her hands are large and stretch very far apart, which helps when playing the cello. They, like her feet, go without nail polish for the most part and are always manicured and clipped short so that they do not inhibit her cello playing. clothes -- Her wardrobe changes all the time, based on whatever she likes at the time. One week, she might don a leather motorcycle jacket, and another week she might try on a new floral dress. However, her main style is quite preppy; she likes Converse, striped scarves, oxfords, collared shirts, sweaters, earmuffs, and pencil skirts. weapon -- Her weapon of choice comes from the armory of Camp Half Blood. She’s only been wielding it for two years, but there’s never been a sword that fits her more. It was forged by in the forties by a son of Hephaestus for another demigod, but it was too bulky - Greyson had her sword remade to be thinner and lighter. Overall, it retains the same form, appearing to be almost like a rapier, except thicker by a couple of centimeters and three feet long. 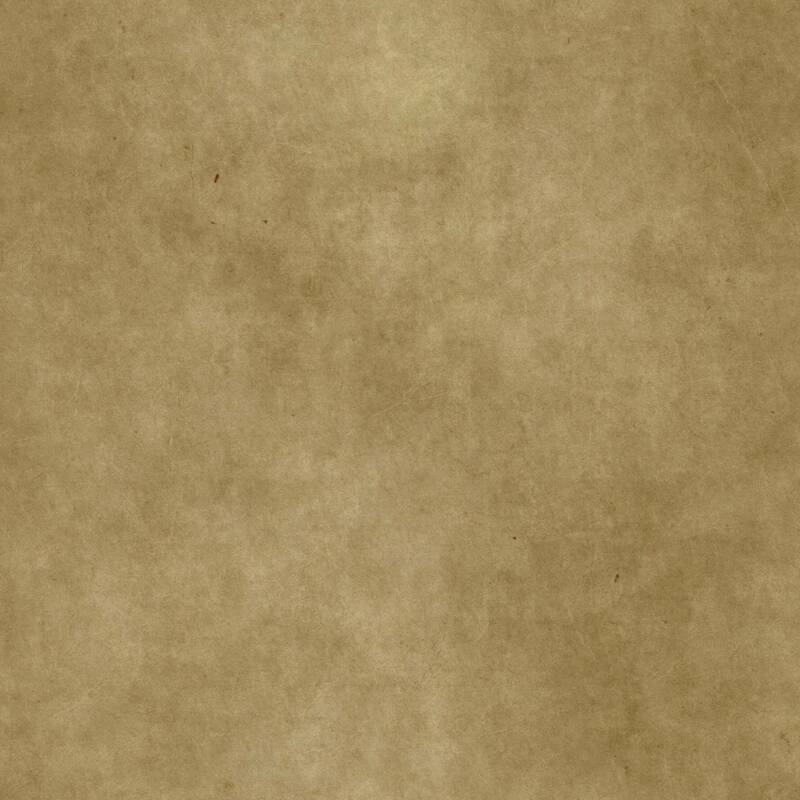 It is a celestial bronze and steel alloy, but the steel is more prominent, giving it an eerie, almost white glow. The sword is also responsive to her as a person, because it grows ice cold and frost grows on the blade during combat, especially if she’s experiencing heightened emotions like fear or adrenaline-fueled excitement. The blade is sharp enough to cleave through monsters as if they were made of butter, and she keeps it in a crystal sheath to maintain it, making to look as if it were encased in ice. She’s affectionately nicknamed it πάγο, meaning “Ice” in Greek. ❅Helmet: a Corinthian helmet that covers the majority of her face, with a white horsehair plume on top. Other than that, it is sleek and plain, without other noticeable decoration. ❅Shield: round and circular, her shield is curved inwards slightly in a parabolic shape. In the center is a carving of her father, Boreas, with his wings unfurled, almost as if he is shielding her from incoming attacks. He is also holding a spear out to the side. Lining the edge of the shield are galloping horses, which were associated with her father (Boreas was actually considered to be a god in the form of a horse by some). ❅Cuirass: Smooth and shiny without too much decoration (not as if her enemies would have time to study her armor anyways). Near each shoulder there is a wing, which are symmetrical to each other, symbolizing her father’s power of flight. ❅Greaves: Again, geometrical lines running down the sides of the greaves that protect her legs, making her legs look longer. This is one of the reasons that her armor actually looks more modern than ancient Greek armor. ❅Vambraces: Straight, engraved lines encircle the vambraces in the areas around her wrists. There are intricate snowflake designs carved into each and they are very light as to not weigh her arms down when she’s swinging her sword. pets -- Her boarding school did not allow pets, so as a result, Greyson doesn’t have any, although she would love to have some kind of bird. Maybe a snowy owl or even a little lark. If only she could find a pet store that actually sold them. skills/talents -- Greyson is a very skillful young girl, especially since she went to a boarding school where they encouraged people to develop their talents. These talents are placed in chronological order based on when she first started to pursue them. ❅Ice skating/ice dancing: Figure skating was always natural to her. She started when she was only four years old and advanced quickly, beginning competition when she was six, and more advanced level provincial competitions at age 8. Her body type and natural agility made it easy for her to learn, combined with her comfort with the icy setting. However, as soon as she was moved to a boarding school, she was forced to quit, as they did not have ice skating facilities close by. ❅Ballet: The school did, however, have a small ballet class where a dozen or so girls and boys were selected to participate in weekly classes. The grace, flexibility, and poise needed for figure skating was transposed easily into ballet dancing, which her teacher soon noticed (this was the same teacher that later adopted Greyson, once her mother died, so that she could remain at the boarding school). After a few months, her teacher allocated special permission for Greyson to attend a prestigious ballet school thirty or so minutes away - L’École supérieure de ballet du Québec. Greyson quickly rose to the top of her class, but stopped training upon leaving for Camp Half Blood. ❅Cello: Her grandmother was a cello player, and passed down some of her skill to Greyson’s mother. As a result, Greyson started to play cello, once placing second in a national competition for youth. ❅Ice sculpting: This is one of her sillier habits that she developed to kill time. Basically, she freezes some water and then manipulates the ice into a particular shape. It makes her pretty tired afterwards and gives her a headache, but she enjoys it. Her masterpiece is a replica of Michelangelo's David, which she stores in her cabin, as it is always cold in there. ❅Mathematics and sciences: Perhaps some of her mother’s love for math and science was imbued into Greyson, or perhaps it was just the fact that her cultural background made education of the prime importance. In first grade, Greyson calculated combinations and permutations with ease and began to learn properties of circles, triangles, and special quadrilaterals. Some of her favorite books were about climatology, remnants of her mother’s college life. Because of this, schoolwork never fazed her, although she doesn’t have the same motivation nor level of knowledge as an Athena child. flaws -- She definitely has numerous flaws, most of which developed after her mother’s death, which shook her world to the core. ❅Overreaction: Grey tends to take the smallest signs and blow them out or proportion. For example, if you accidentally tread on her shoe, she’ll start to believe that it was done on purpose. This escalates over time. As a result, she is easily offended and cannot take a joke well, especially pranks. She’s never gotten along with the Hermes cabin ever since they rigged her cabin with a couple of mini heaters and raised the temperature to ninety degrees Fahrenheit. ❅Physical flaws: There are some parts of her face that are unbalanced (eyebrows, for example). She also has a dark, blotchy burn scar on the left side of her body, near her waist, from when she spilled boiling water on herself as a child. ❅Doesn’t express herself well: Greyson never really grieved for her mother openly, despite her death occurring six years ago. She can communicate superficial things, socializing about trivial day-to-day matters, or talk about relationship problems, but once the conversation gets too personal, she closes herself off and tries to change the subject. She can be quite elusive when it comes to discussing her past. ❅Attention seeking: Probably because she was never able to spend time with close family as a child, Greyson will do a lot of things just to get people to pay attention to her. She might interrupt or attempt to redirect the conversation towards herself. She knows that she is better than other people at certain things, but she doesn’t know how to express that with humility. ❅Competitive: She doesn’t take winning or losing very well. All in all, Grey is a sore winner, as well as a sore winner. Winning gives her a rush and she will not hesitate to put her opponent down during a competition, or to cheat. Normally, she is a person with integrity, but when it comes to competition, all of that goes out the window. strengths -- Her strengths, overall, balance out her large amount of weaknesses. ❅Compassion: If someone’s having a tough time, and Grey can relate to them (which she often can), she will go out of the way to help them. Subconsciously, by doing so, it makes her feel as if she’s helping herself - her helpless, confused, nine year-old self, if that makes any sense. It doesn’t? That’s okay, Grey doesn’t really understand it either. ❅Rationality: “Keep a cool head,” her mother always used to say, before she died. Greyson isn’t sure if the pun was intended. Most of the time, emotions don’t get the best of her. It’s the times that they do that make bad things happen. ❅Hardworking: Why does Greyson have so many talents? Once she’s interested in something, she won’t stop working on it, no matter the circumstances. Even though she might not be naturally talented at something, she believes that hard work can overcome physical disadvantages. “Mind over matter” is her motto. ❅Leadership: When she wants to, Grey can be very charismatic and doesn’t have a lot of trouble convincing people, depending on how reasonable her demands are. She understands that people are ruled by their emotions, most often. Of course, she doesn’t like to manipulate others, but if necessary, she will do it. Greyson likes being in charge and doesn’t shy away from taking the reins. ❅Manages time well: She can accomplish ten different tasks in a matter of hours, if she puts her mind to it. Armed with her to do list, she feels like she can do anything. Time is money, and Grey has never really liked to waste money. weaknesses -- Ignoring her more prominent character flaws, Greyson also has a lot of weaknesses that make her life harder, or make it harder to be around her. ❅Impatience: Don’t keep her waiting. If she feels like someone is wasting her time, Grey will get very short with them, curt, or even downright rude. To her, loitering around or procrastinating is of the greatest offense. ❅Loses things easily: Where did that book go? Grey puts something down without thinking, and then the next moment, it’s gone. It contradicts the rest of her personality, because she hates wasting time, but she can’t help misplacing items. She’s careless at heart. ❅Cannot tolerate heat: If there’s one way to make Grey very, very irritable, it is to increase the temperature in her cabin, or drag her out in direct sunlight, as some of her close friends have learned. Heat makes her dizzy, easily annoyed, and angry, in general, which is never something that you want to see. If she is getting overheated, the best course of action is to zoom her back to her cabin and turn the thermostat down (well, “downer” than it is normally). ❅Picky: When it comes to food, clothes, homework, or anything really, Grey becomes extremely picky. Her tastes are seemingly impossible to satisfy and even she can’t describe them, as they change all the time. She will not rest until something is perfect, or at least satisfactory. ❅Larks and other types of birds: Grey has always been fascinated with flight, just like the ancient Renaissance artist, architect, and inventor Leonardo da Vinci. She laments the fact that she still cannot create air currents strong enough to support her weight, although she has tried numerous times (all ending in some type of accident with various severities). ❅Cold weather: This is kinda a no-brainer. Anything that has to do with winter - snow, ice, frost, hail, cold wind, frozen streets, snowmen, skiing, ice skating, - she likes. Unless it’s something like curling by the fire and reading a book, because (ew) fire. ❅Watching movies: One of the best ways to get to Grey’s heart is to take her out and see some horribly sappy movie, or maybe the Avengers sequel. It doesn’t matter. She loves sitting in a dark movie theater, drinking a slushie, watching images flash across a wide screen. ❅Gourmet food: Pan-seared foie grass, asparagus and Swiss chard risotto, or pineapple souffle with toasted coconut. It doesn’t really matter. If what goes into her mouth is a work of art in its own right, there is no doubt that Greyson won’t like it. Her only request is that it’s chilled and served cold (pretty please?). ❅Flowers and plants: This is something that doesn’t really fit with the rest of her persona. Flowers? Those have to do with Spring, right? The truth is, Grey admires plants, the first daisy poking out from the snow, because they find their own way to triumph over the might of winter, year after year, without fail. To her, that’s something to be celebrated, even if they are a “spring thing”. dislikes -- ❅Heat: As said before, Grey hates heat and anything having to do with it. This encompasses everything from hot chocolate to fireplaces to hugs. She generally avoids heat like the plague. ❅Posers: People that act smart, or sweet, or just overly fake annoy her. It’s okay if that’s actually who they are; for example, if an Athena child comes up to her and starts asking her about diversion by oscillation of a function, she’ll be fine with it. But if she knows that the person is pretending to be someone else, she gets incredibly sarcastic and dry. ❅Fur: Because really, who likes fur? She hates cats, dogs, chinchillas, basically anything that sheds. She’s not allergic, but it sticks to her clothes, her hair, and makes her sneeze. ❅Being belittled or pitied: For most her life, Greyson was treated like a delicate flower, like she was a two-year old. She hates when people give her that condescending, pitying look when she tells them that her mother died when she was nine because she doesn’t like being treated like a child. When people patronize her, she gets pretty frustrated. ❅Make-up: It’s not that she doesn’t like when other people wear it, because she has no problem with the Aphrodite cabin. Make-up is just a big hassle that she doesn’t like to deal with on a day to day basis - putting it on, fretting over it for the whole day, and then removing it. She used to put some on, but started to accept her own looks and just gave up on the habit. fears -- ❅Ophidiophobia: the fear of snakes. She hates things without legs like earthworms, but she particularly fears snakes, especially after she got bitten by a garter snake as a child, when she got too curious with one and the teachers just happened to not be looking. It, of course, did no harm as garter snakes are not poisonous, but started a lifelong phobia that continues to this day. ❅Chilopodophobia: fear of centipedes. Okay, so it’s established that Grey pretty much doesn’t like critters. But centipedes take the cake. If snakes have too little legs, centipedes just have too many. She can barely even bring herself to look at pictures of them. Her boarding school used to have house centipedes - gray ones with long, yellow, spidery legs that would crawl all over the floor, the sheets, and even in the bathtubs. ❅Thermophobia: fear of heat. Grey is particularly susceptible to heat, especially being burned, so this is a natural fear for a child of Boreas. Part of her fear comes from never being exposed to extreme heat. She cannot tolerate cooking on a gas fire, as the flames make her feel like her insides are squirming around. ❅Astraphobia: fear of thunder. This is very mild. Most of it just comes from anticipation. When waiting for the next clap of thunder, she starts to work herself up rather than the thunder itself being scary. ❅Aichmophobia: fear of sharp objects. This only encompasses sharp kitchen knives; she can use them, of course, just not quickly. When chopping or dicing, she’s very awkward with a knife and always cuts things extremely slowly. She's never gotten hurt by a kitchen knife, per se, but when she was little she saw her mother accidentally cut the tip of her pinky finger off, and although it was minor and only required a few stitches, she's been wary of going near the kitchen ever since. Somehow, this fear doesn't apply to her sword. personality -- Grey is sweet at heart, when she wants to be or when around the right people; she acts differently depending on who she’s talking to. For most people, her years spent alone without anyone to depend on physically or emotionally has hardened her into a self-sufficient girl, that doesn’t like being underestimated or overlooked. Due to her hardworking nature and tenacity, she has a lot of different skills and doesn’t like to quit - doesn’t really know when to leave something as it is. She knows that she has many achievements, but a part of her is self-doubting, and as a result she always feels like others are doubting her, even though it’s really just herself. As a result, she can be sarcastic, dryly humorous at the expense of others, wry, biting, cruel, or rude. Normally, she is a mixture of impatience, competitiveness, but also charisma, compassion, and enthusiasm. She has been said to take a lot of things too seriously, which can be good or bad - sometimes, it helps, especially if she’s doing some team activity that’s very important, but normally means that she overreacts to the smallest things. She tends to compare herself to others a lot, and if she feels that someone else is better than her at something, she will berate herself for it and work needlessly hard to improve herself. In daily life, she is very picky and does not hesitate to express discontent with something, but likes to talk (just not about anything related to her personal life, especially not her mother). powers -- ❅Making snow: She can make a small snowstorm with a fifteen foot radius around her and maintain it for one post, requiring a four post cool down, or make a large snowstorm with a forty foot radius and maintain it for half a post, requiring a six post cool down. The small snowstorm makes anywhere from half an inch to 1.5 inches of snow, depending on the temperature that day, and the larger snowstorm can make (at most) one foot of snow. Making snow is pretty easy for her, and sometimes she can make snow fall without even thinking about it, if she’s feeling angry, excited, or scared. ❅Generating wind: As her father is the god of the North wind, she can also make large gusts of wind traveling up to 90 miles per hour before requiring a six post cool down. If they are slower (under 80 miles per hour), she only requires a five post cool down, and if they are under 60 miles per hour, the cool down period is three posts. She can maintain each of these winds for only one post before requiring a cool down period. This wind is always cold and icy. ❅Freeze things: She can take 50 gallons of water (amount in a bathtub) and turn it instantly into ice just by touching it. Of course, lowering the temperature of the water drains her, so she can only do it for one post before requiring a four post cool down. Anything larger in volume (up to 100 gallons) or more complicated (i.e. freezing someone’s hand off, in a morbid example), requires a seven post cool down. ❅Project jets of ice from her hands: She can generate ice from the moisture in the air quickly, which immediately forms on her hands in desired shapes, usually icicles, which she can direct towards her enemies. This is one of her more basic attacks. She can form icicles on her fingers (10) and then launch them like throwing knives or summon winds to drive them towards her opponent. She can finish launching all ten of these icicles for two posts before requiring a three post waiting period. Generally, if she's not concentrating on making them longer, they'll be about the length of a small dagger (five to six inches) and will take her around half a minute to make (defining this in post length, I suppose half a minute would be the length of three preceding sentences). Each added inch after that takes another ten seconds (another sentence to make), so basically if she wants foot-long icicles she's going to be standing there for one and a half minutes. It's not about how long she can make them, because in battle she usually doesn't have a couple of minutes to spare. To use this attack, she either needs the enemy to be distracted first, by another person or by her own means, or she'll have to compromise and make icicles on her left hand while she sword fights with her right. Of course, this makes her lose her concentration and usually ends in her getting hurt. Without her wind powers to enhance the distance that she can throw the icicles, the range is only as good as her arm. Because she doesn't have too much experience with throwing daggers/knives yet, her arm isn't very developed for that activity yet, and she can only launch the icicles 15 feet and still have them hit the target without bouncing off, or 25 feet with reasonable accuracy (although they will probably just lose their kinetic energy and ricochet off of the target). ❅Flying: Well, it's really more like hovering, and she can only do this for five seconds before tumbling back down to the ground in a big, disheveled heap. Greyson would really like to learn how to fly one day, but because her powers aren't fully developed, she can't fly like her father does, as a true master of the winds. She hopes that, in the future, she'll be able to create wind currents strong enough and specific enough to a certain area to be able to support her weight so that she will be able to actually fly. For now, this power is not very developed and it makes her very tired. She can only do it for one post before requiring a five post cool down period, in which she will be drained and require lots of rest in order to recuperate and return to her full strength. For now, she can hover about half a foot in the air, but hopes to increase that height in the future. social status -- Greyson has a circle of her friends, and most of them are actually outside of her cabin, but because her personality isn’t the easiest to be around, she isn’t exactly the most popular person in camp. However, she does have people that have earned her trust - and she has earned theirs. summer or year rounder -- She’s not in high danger by leaving the camp, but most of the time she doesn’t have reason to leave the camp. For this reason, she is a year rounder, unless she wants to visit her adopted mother in Quebec, in which she requests special permission to leave for the summer. years at camp -- 2 years. She left Montreal for Camp Half Blood when she was just thirteen years old, but has adjusted ever since then and become well accustomed to camp life. She feels comfortable in the setting, but just wishes it wasn’t so hot in the summer so she wouldn’t have to stay inside for such a long period of time. life before camp -- Grey was born in Montreal, Quebec as described above on December 11th, 1999 and weighed only six pounds at birth, which worried both her mother and the doctors. Even more worrisome was how she lowered the temperature of the delivery room as soon as she was born and made the water on the windows freeze, but the doctors didn’t know that it was her, obviously. Her mother hid her existence from her extended family until Grey was two years old, and then proceeded to pretend that she was a boy so that they would not pester her to have more children. However, Grey, despite her small size at first, grew to be a sturdy toddler and enjoyed playing with the snow that so frequently in Montreal, even though it nearly gave her mother a heart attack. Her mother knew that Grey’s father was Boreas, however, so she at least understood why her toddler liked the cold so much; instead of allowing her daughter to continue to tramp around on the frozen front lawn, she instead enrolled Grey in an figure skating class, which she fell in love with. Grey attended her first public school at age five and quickly made numerous friends, as she was a bubbly and outgoing child. Her mother enrolled her in a cello class as well with an old, wrinkled teacher that always breathed down Grey’s neck. Despite this, she grew to enjoy playing the instrument. Finally, the lure of research work in one of the most unexplored regions of the Earth because too much for Grey’s mother, and she left for the MV Xue Long, dying soon after in the frigid sea when she was nine. Fortunately, as soon as she heard about the expedition (when Grey was eight), she signed her up for a boarding school instead of sending her daughter overseas to China. As soon as word of her mother’s death reached her, the officials came soon after, and contacted her relatives in China, who grudgingly agreed to take her in (they were very surprised that she was, in fact, not a boy), but she refused obstinately and pleaded to her ballet teacher, Miss Miriam (full name: Miriam von Anhalt), a German immigrant that took a liking to Grey and decided to adopt her. After that , Grey’s life became a lot more uneventful until she was walking back from a cafe with her friend Ackley, and was suddenly attacked by a flying gryphon. Ackley, who was actually a satyr, tackled her, which saved her life as the gryphon's claw missed Grey by only a couple inches, and then drove the gryphon away by blowing a song on his pipes. They had to leave the scene quickly in case the entire flock came back to aid the lone gryphon, and after talking to Miss Miriam, Ackley took a very confused Greyson to Camp Half Blood by plane, and her entire life changed from there. She protested along the way, but after accidentally freezing the plane window due to her heightened emotions, she started to believe Ackley and by the time that they arrived in New York, she was already in the acceptance period. 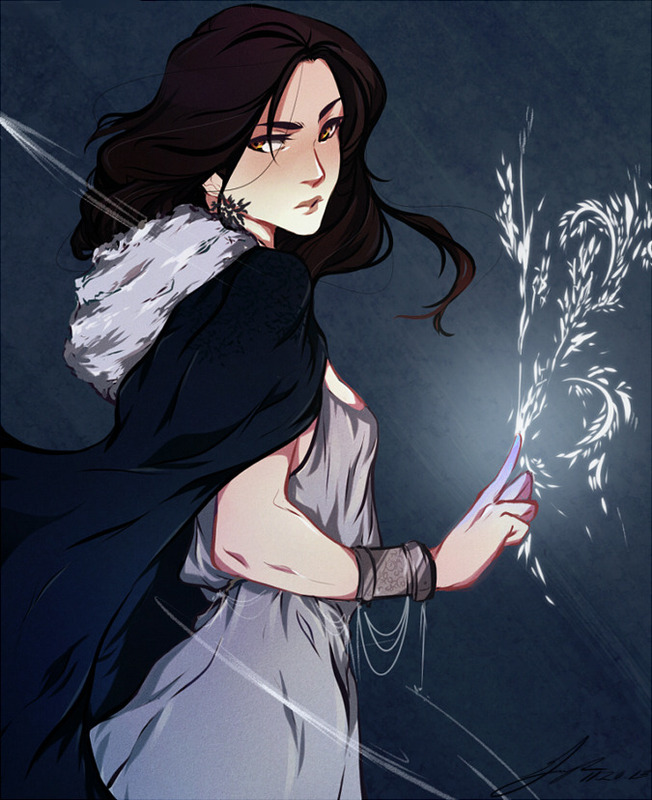 Three weeks later, she was claimed by Boreas after staying briefly in the Hermes cabin as an unclaimed demigod; a miniature snowstorm appeared above her head, which made people mistake her for a Khione child at first, except that Chiron knew better and proclaimed her as a child of Boreas, god of winter and of the North wind, one of the four major wind gods that worked under Aeolus, master of all winds. It was difficult for her to adjust to just knowing that she was half-god because her life had seemed so normal before that - well, relative to other demigods; she never saw any sign of monsters before the gryphon incident. After she moved into the Boreas cabin and met some of her fellow siblings, however, she started to grow less detached from the world of Greek gods, and for the first time found herself among family members that actually accepted her. Ackley seems frustrated. He’s running hands through his straight, brown hair, but when she looks up, she can see the tips of two, white-crested horns barely sticking out. Great. Can this day get any worse? she thinks. One moment, some huge mutant bird swoops out of the sky and tries to kill her, and the next, she’s on some impromptu plane ride to America. She gapes openly at him, because this just takes the cake. “Um, are you okay?” she asks, and perhaps she should have done that first. She thinks that her friend might be having some serious hallucinations or something, because he’s gone crazy. “Okay,” she answers, trailing off in a drawling, skeptical tone. “If my dad is a Greek god, then which one is he? Zeus, Poseidon?” She stops listing gods after that because she can't remember the names of any others; Greek mythology never really interested Grey in school, because it hadn't seemed useful in the light of other subjects. Namely math. And physics. Of course, she only understands about half of what Ackley said, but she keeps quiet. He seems stubbornly set on believing that she’s half-human, half- Greek god, and she’s not in the mood to argue. The chatter in the plane dies down until all she can hear is the whistling of the wind outside as the plane pierces through the air like a bullet, creating areas of low and high pressure that resultingly create lift. If she was in Miss Williams class, she would actually be learning about planes, about how they use principles of physics to fly through the air. She would be listening with the utmost attentiveness right now, taking notes diligently on her notepad and doodling little jetpacks across the margins of the paper. Instead, she’s on an airplane straight to a place that probably doesn’t even exist. The clouds drift past lazily beneath them, and she gets a sudden urge to join their ranks, to fly amongst them. But that’s crazy. If she fell out of the plane, she would die. Humans can’t fly. And she knows that she is a human. Or is she? She remembers suddenly a memory of when she was little, a little bittersweet image hidden in the deep recesses of her mind. She recalls playing outside during the summer in first grade, when she was still going to public school. It was a warm day, and the teachers decided to send everyone outside. Except, by the time that her mother came to pick her up, Grey was outside with her friends, building a snowman. No one knew what happened - the only thing that was clear was that, somehow, Trafalgar's School for Girls got its own personal snowstorm hovering above its courtyard. Now that she thinks about it, she can remember a lot of weird incidents in the past that shouldn't have happened to a regular person, but she never really gave them a serious second thought before. Grey touches her finger to the window numbly, her emotions a tumultuous snowstorm inside of her, whirling and wreaking havoc on her mind. She’s never been outside of Canada, and in one day that changed. Travelling out of Canada is bad luck. She thinks to her mother, who decided to leave Montreal for some stupid expedition to go look at penguins or polar bears or whatever, and then wound up floating face-down in some frigid ocean water. Now Grey’s doing the same, and she doesn’t even know why or where she’s going. She swivels bemusedly around in her seat, staring at the window. But it’s not the same clear surface that she gazed through before. it’s covered with a thick sheet of ice in the same oval shape of the window. “What --” she starts to ask, but Ackley pulls the plastic window shutter down quickly and gives her a look that makes her stop talking. There’s a tense silence between them. Ackley keeps looking around with worried eyes, staring at the people around them. Grey’s tongue feels like its made out of lead. She opens her mouth to say something harsh and accusatory, which will no doubt make her feel better, and then guilty just as quickly. But then she closes it and the silence extends further, until she can hear nothing except the humming of the plane engine and the lighthearted chitchat of the people around them, laughter and words floating around in the comfortably cold, air-conditioned plane environment. It seems like a horribly ironic juxtaposition, that she should be so comfortable and uncomfortable at the same time. “Hey,” she says finally. “Tell me something else - about this camp. About the … Greek gods.” For some reason, she finds herself starting to believe him. notes -- She can speak French fluently, not only because her father can, but because she lived in Quebec for so long. Greyson's face claim is the lovely actress Fan Bingbing. - We don't allow alloys of magical metals to make weapons. - How much snow can her snowstorm create? - Since we're on the post-limit system for powers, you're going to need to define what 2 hours would equal in terms of number of posts. - Increase the cool-down time for her snowstorm by to at least three posts for the two hour one and triple the 40-ft radius one. - Reduce the wind speeds for her icy winds. - Increase the cool-down times for her winds and freezing powers. - How large are the icicles she can create? - Range for the icicles if she doesn't use her wind powers to send them further? - How high up can she hover? Edited. Sorry it took so long! 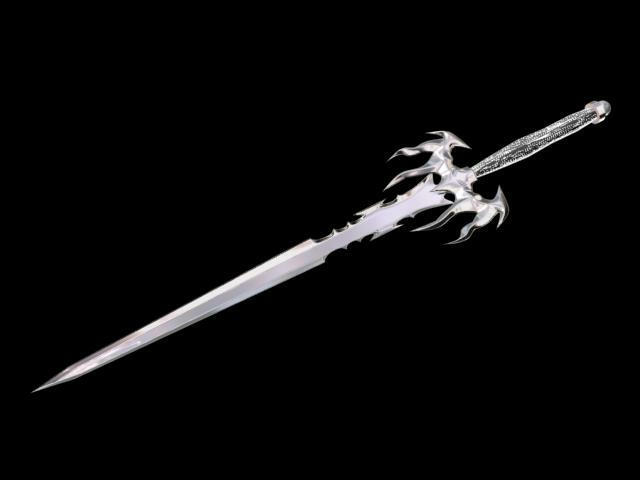 ♠ Sword was forged by a son of Hephaestus instead of the actual god himself, just in case it isn't allowed? ♠ Changed to a steel/celestial bronze alloy. ♠Small snowstorm can create 0.5-1.5 inches of snow. Large snowstorm can create 1 foot of snow, max. ♠Edited out the hours stuff. She can maintain the small snowstorm for one post and the large one for half a post (so halfway through the post she's going to be forced to stop from exhaustion). ♠Small snowstorm requires a four post cool down, large snowstorm requires a six post cool down. ♠Changed the maximum speed of her winds to 90 mph. (Is that still too much? It's hard for me to visualize reasonable limits xD). ♠Large winds cool down is now six posts, medium is five posts, and small is three. ♠Freezing 50 gallons cool down is four posts and 100 gallons is seven posts. ♠Range is 15 feet, accurately and without them ricocheting, without her wind powers. ♠She can hover half a foot. - Son of Hephaestus making it would be allowed. - I think 80-85 mph would be good for the winds. - About how cold at worst would her wind chill from the winds be? - Is there a certain range for her gusts of wind before they fizzle out on her (such as the power of the wind fading by x mph for every y yards or feet)?